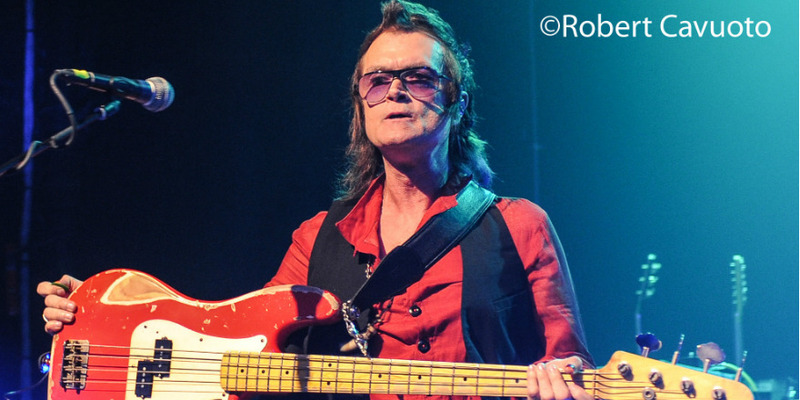 2016 was a busy year for Glenn Hughes. 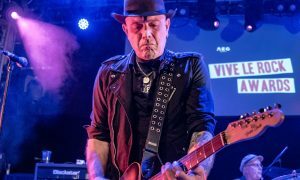 He was inducted into the Rock and Roll Hall of Fame for his work with Deep Purple in April, recently wrapped up his successful sold-out US headline tour, and now releasing his first solo album in over 8 years! Resonate is truly a triumphant return to form for “The Voice of Rock”! No other rock musician has carved such a distinctive style blending the finest elements of hard rock, soul, and funk. 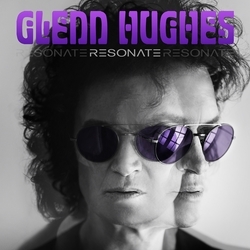 That astonishing voice is Hughes’ calling card and the new album, Resonate will shine as a true Glenn Hughes landmark release. I caught up with Glenn to talk about his new CD, the status of the next Black Country Communion CD, and why he has never recorded a CD with his friend David Coverdale. 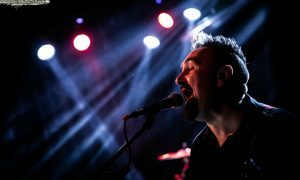 Robert Cavuoto: Tell me about your drive and desire to put out this solo CD? 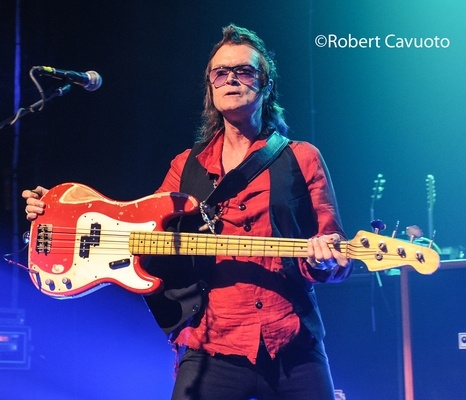 Glenn Hughes: I normally release a solo CD every few years or so in the new millennium. In 2010 I was working with Black Country Communion (BCC) and writing those albums was really important to me. We wanted to make sure we got a great reception which we did. When BCC folded in 2012 I was about to start making a new solo CD but Jason Bonham and I decided to put together a band which was California Breed. 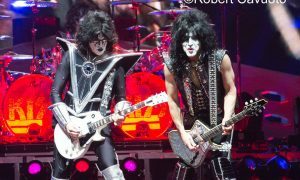 I recall you photographed the band fantastically at the Gramercy Theater show in New York, Thank you! That took us to 2015 and when I realized it was time to go back to making my own music. So last year I went out on the road for six months and then had both knees replaced around Christmas. Then in that Spring I had the Rock n Roll Hall of Fame and was still recovering from the surgery. It was bloody awful; I had to learn how to walk again. Since then I started recording this record and then went on the road touring in North and South America. I’m really excited about Resonate and everybody is loving it! 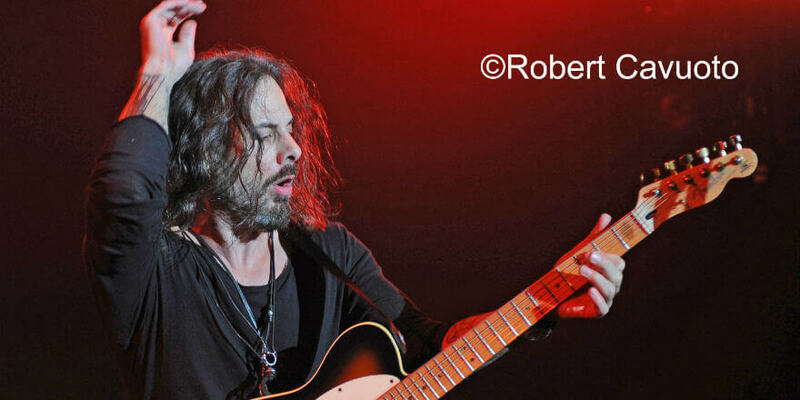 Robert: I missed your solo show in NYC this past summer; did you play any songs off Resonate in advance of its release? 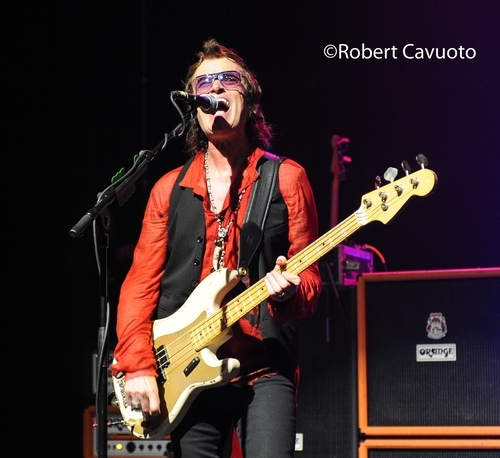 Glenn Hughes: No, John Varvatos said the same thing that I should be playing the new CD. Maybe I should have done that in hindsight. The album is coming out November 4th and I put everything into this album and it’s the most grounding piece of work I have done in years and years. I’m so grateful to be writing music and being so vibrant and fresh. Robert: I love Resonate as well too. My favorite song is “Flow” as I felt it had a Deep Purple vibe with the Hammond Organ? Glenn Hughes: I think the sound of a real Hammond played well gets a 70’s Deep Purple sound as they were the creators of the Hammond sound. When you hear a great Hammond ,not a fake one, with a great player like Lachy Doley on this album you may think of a Deep Purple, but I don’t think the songs really sounds like Purple it’s just the familiarity of the organ. “Flow” is really a Glenn riff. 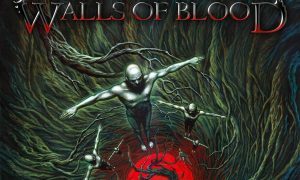 It’s one of those, “I can’t stop the flow that in my blood riffs.” I always like to throw a song like this on an album; especially with the middle part and its breakdown of the orchestration mellotron acoustic guitar and six part octave vocals. 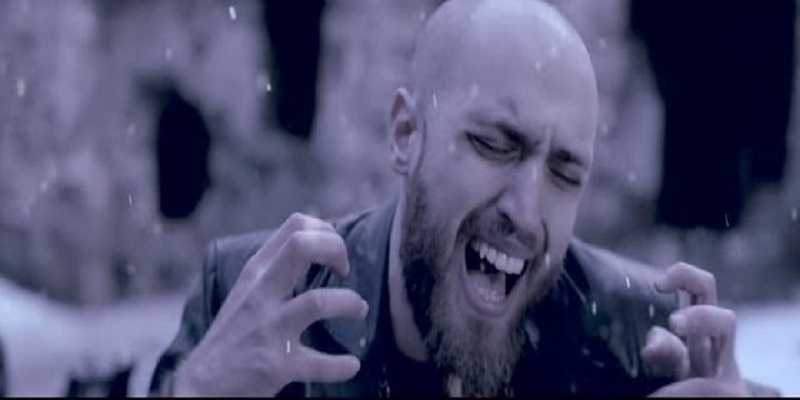 I wanted that song to be dramatic with a lot of light and shade and have very dense, dark riffage. The lightness is the mellotrons and the vocals arrangement. I look back on making this album and feel it was very spontaneous. This album will help me. Robert: When we last spoke you told me you would never bow down to the God of money and I found it interesting that you would write a song about that subject. 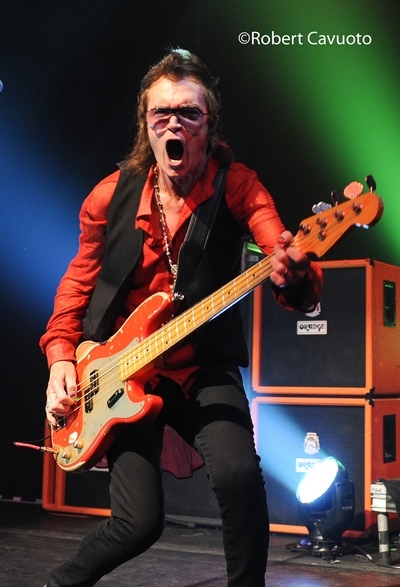 Glenn Hughes: I have to say this sensitively; I could do things and take the money and run. If I put money before my art I wouldn’t be able to sleep at night. I have turned things down in my career for the almighty dollar. I would never bow down to the God of Money as I would find myself on the wrong side of things. I’m making a heavy statement with this and it’s just the way I feel. I’m very fortunate to keep working, writing, and touring. Robert: I saw a recent tweet that Joe Bonamassa and you were going to getting together to start to write for the next BCC CD. 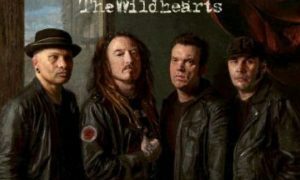 Glenn Hughes: We actually started about six weeks ago as Joe was at my home for about a week of writing. Today [10/25] we are starting another week of writing together where we will finishing writing BCC 4. Then we go into the studio in January and the album will come out May 20th. It’s such a focused thing. Joe and I are very excited about BCC 4. Back in April when Joe and I were having dinner in Santa Monica we talked about making this new album and decided to really go for it as well as how now may be the right time to do the reunion. Certain things work at the certain times. The love and support we have behind BCC are amazing. I think all the things that have happened in my life have happened for a reason. Joe is a solo artist and we both love BCC. He is booked out a year in advance as he is a busy guy. I returned to being a solo artist and this CD Resonate is a return to form for me with another America tour next year. For me, all I want to do for the rest of my life is to write, play, and record music. As long as I’m healthy spiritually and mentally which I am, that’s all that resounds to me. That’s all I know how to do in life is to give love and music back to others. Robert: Will BCC tour to support this? 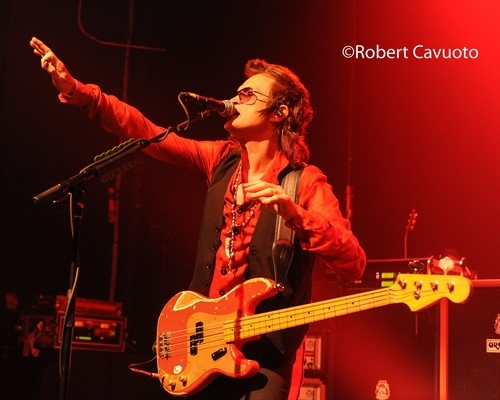 Glenn Hughes: It’s impossible to pinpoint that yet or if it will happen at all. Joe and I have to find windows where we can tour or maybe just play select shows behind the album. 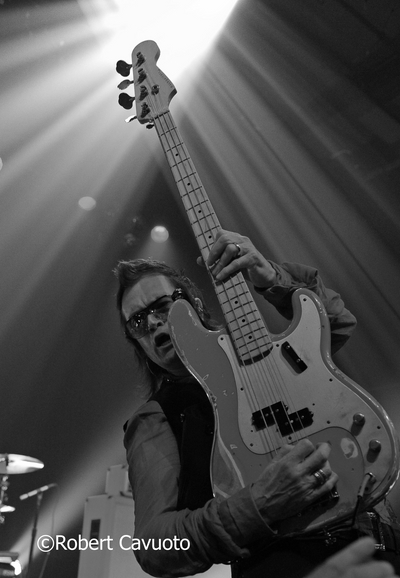 Between you and I, or whoever is reading this, [laughing] my life is around playing live with the Glenn Hughes solo band. I have a great band and crew to that drive me to continue to play live and to keep me going. 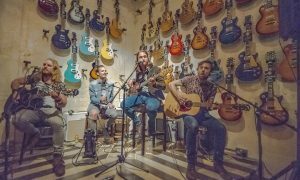 That’s what it is all about; to play live in my own band. Robert: I always wondered why you and David Coverdale never recorded a CD together. Glenn Hughes: He has had such a deep run with Whitesnake in the last couple of years. We speak to each other at least once a month. We’ve talked about it has always been a matter of timing and getting it done. I have an incredible management company and we are keeping me busy by doing albums like Resonate and touring the world behind it. It keeps me grounded. Robert: To my recollection, you and Ian Gillian are only two people to ever play in Black Sabbath and Deep Purple. 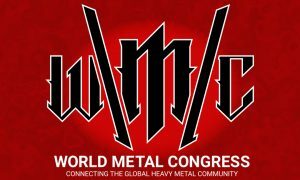 Which band do you feel is really The Godfathers of Heavy Metal? 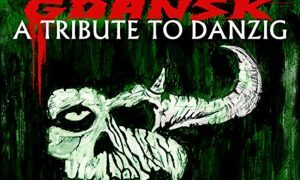 Glenn Hughes: Sabbath for sure! Let me tell you a funny story because Tony Iommi and I speak about this from time to time. Tony is uncomfortable with the term “Heavy Metal” and we laugh about it. He doesn’t like to be called this “Heavy Metal Godfather” [laughing]. As a matter of fact, he is! There is nobody that plays with a bludgeoning dark dense sound like him. He is the King of dark riffs; the King of D tuning and even C tuning which is really insane. Richie Blackmore and Purple were the creators of Hammond and that sound with the Strat. A lot of bands have copies that style. Being in Deep Purple was a great thing for me. Robert: What did you think when Ritchie handpicked you to be in Deep Purple and then he decides to leave? Glenn Hughes: It was rough; He left and wanted to make a more classical sound rock album with those types of overtones in more of a Bach and Paganini style. David Coverdale, John Lord and I were going in a different style. I don’t think Ritchie was thinking about “Highway Star” as he was more about Rainbow Rising. It suited his style more. He just wanted to go somewhere different and God bless him for that. Robert: What did you think of those first Rainbow albums with Ronnie James Dio? 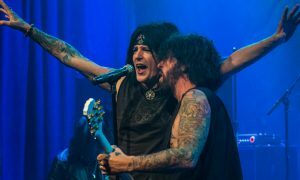 Glenn Hughes: I never really heard that much of them even though Ronnie and I were such close friends. I wasn’t listening to it as it wasn’t my style of music. I love Ronnie and was one of dearest friends and I miss him dearly. 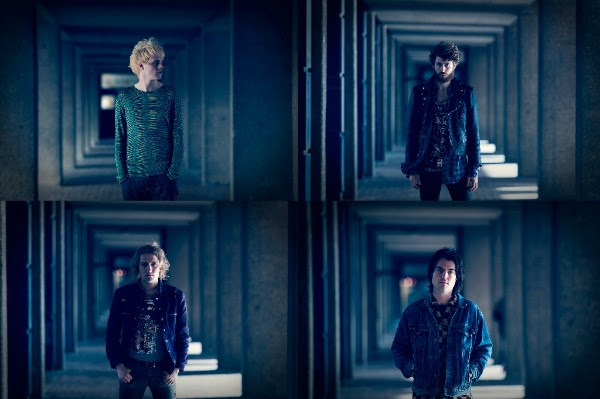 Fresh off the road from an all-conquering UK headline tour and a sold-out show at The Lexington, London, earlier this week, Storms have announced their debut EP ‘Undress’, to be released March 4th through MUK Records. 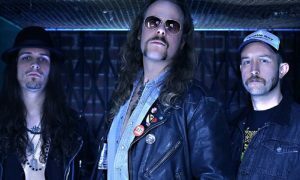 International heavy metallers BEAST IN BLACK recently announced inking a worldwide record deal with Nuclear Blast Records.